So I was dragged into this lunch by my mom who made me drive her to Mall of Asia for a casual meeting. Though I have eaten cakes from here, and celebrated my last birthday with an abundance of cakes from there, I realized only now that I have never eaten there! I decided to try something unusual this time. 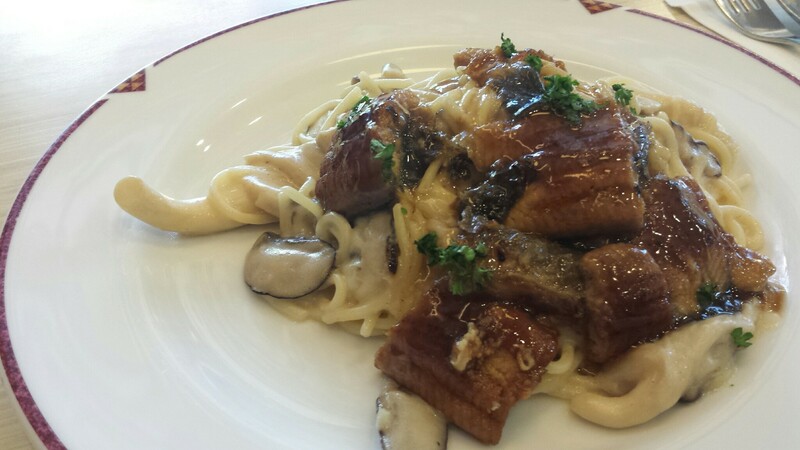 A pasta dish with eel and mushroom in cream sauce. I was looking forward to this. I like eel. I like mushroom. I like cream in my pasta too. Mom ordered a chicken katsu sandwich, along with their halo-halo. My dish looked better than the picture. Generous serving of fresh mushroom and eel. But what I was lacking was the oomph in the dish. It was just a creamy dish. Maybe a little bit of bite, like spice, or make the creaminess of the eel come out (it was placed on top of the dish only). Maybe I was supposed to mix it? But I never mix my pasta, to the ire of people who eat with me. But I like having different tastes in my dish. The sandwich was good too. I am not sure how it compares to KFC, or McDonalds, who produce these food on the fly, but it was good. 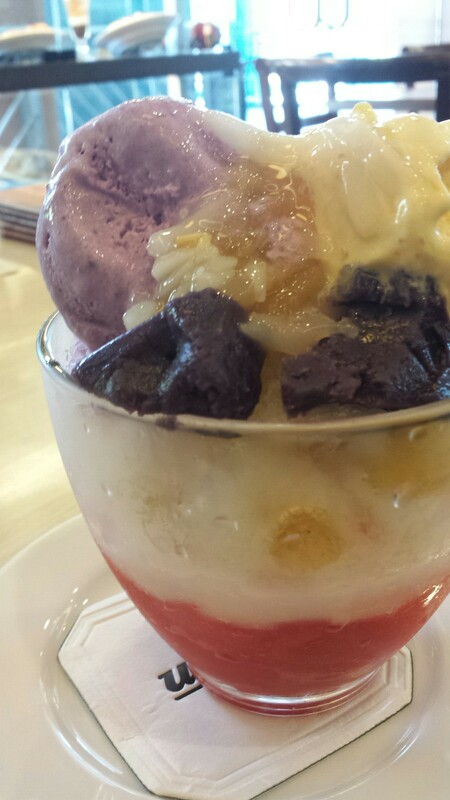 The halo-halo, reminded me of any halo-halo. Nothing unusual about it. But my mom loved it anyway.